Black Mini Tripod for Camera is lightweighted but solid and stable tripod. It is a simple device can be split into 4 different assembly modes, meet different shooting needs. • Lightweight but solid and stable tripod. • 1/4 international screw to meet more kinds of using. 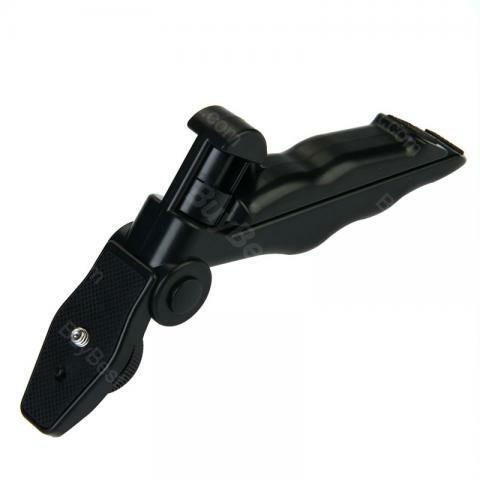 • A simple device can be split into 4 different assembly modes, meet different shooting needs. • Products using new material, light is very solid with moderate volume. • Specializing in storage, portable package, portable design. • Ergonomic design, very fashionable. • Desktop & Handle Stabilizer for most cameras. • Quick link: Mini Octopus Sponge Tripod. 이거 정말정말 유용하게 잘 쓰고 있어요 결혼식이나 여행갔을때 아주 실용적이었어요 너무 잘 산것 같아요 ^^ 부모님도 좋아하시고요! 제품 잘 받았습니다. 일단 제품은 정말 튼튼하고 견고해서 좋습니다. 저렴한 가격과 빠른 배송도 마음에 들고, 작고 가벼워서 휴대하기 좋으며 장소에따라서 다양하게 활용할수 있어서 너무 마음에 듭니다. 사진만 보고 비실비실한줄 알았는데 온전 튼튼하네요, 감사합니당!